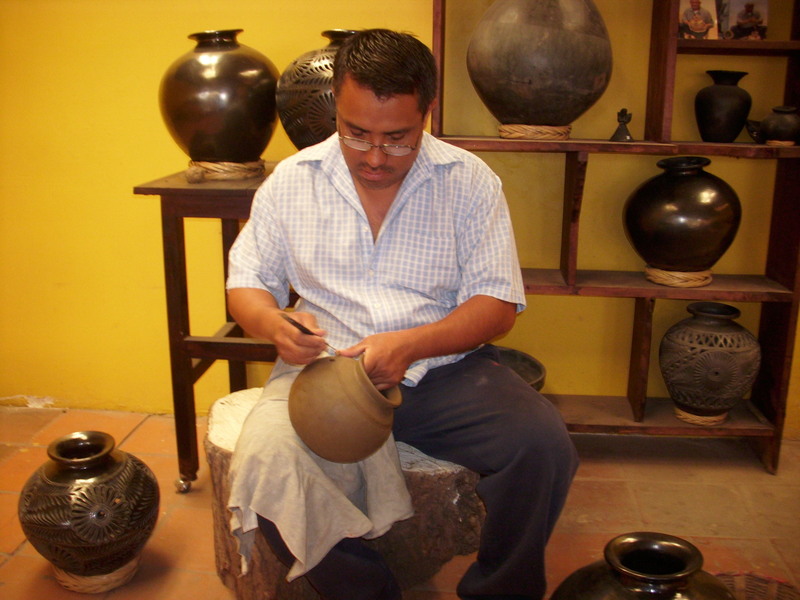 The type of pottery we offer here on BlackClayPottery.com is like no other pottery in the world. There's an amazing story behind these beautiful decorative pots, and this is (as Paul Harvey would say), “the rest of the story”. There's only one place in the world that produces the type of clay that is used to make this black clay pottery. 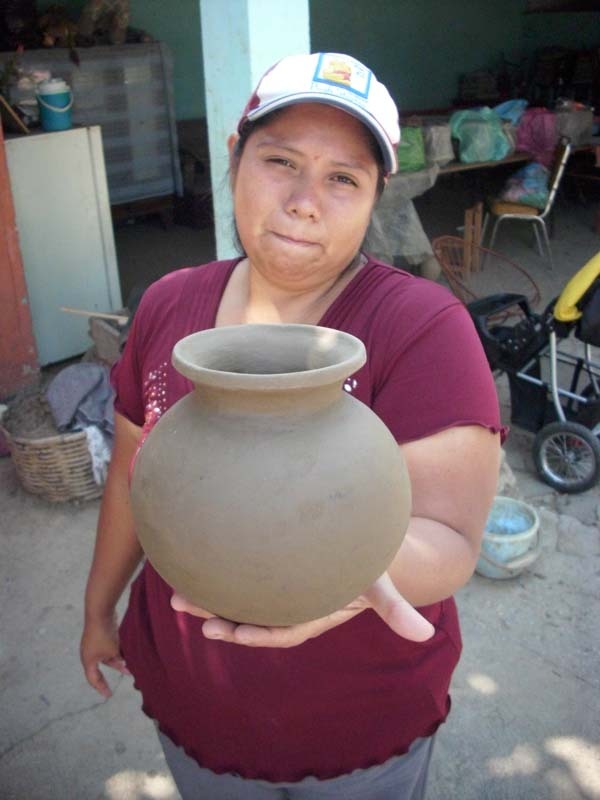 There is one mine in southern Mexico that over millennia has produced this brown clay substance that turns different colors when fired in different ways. 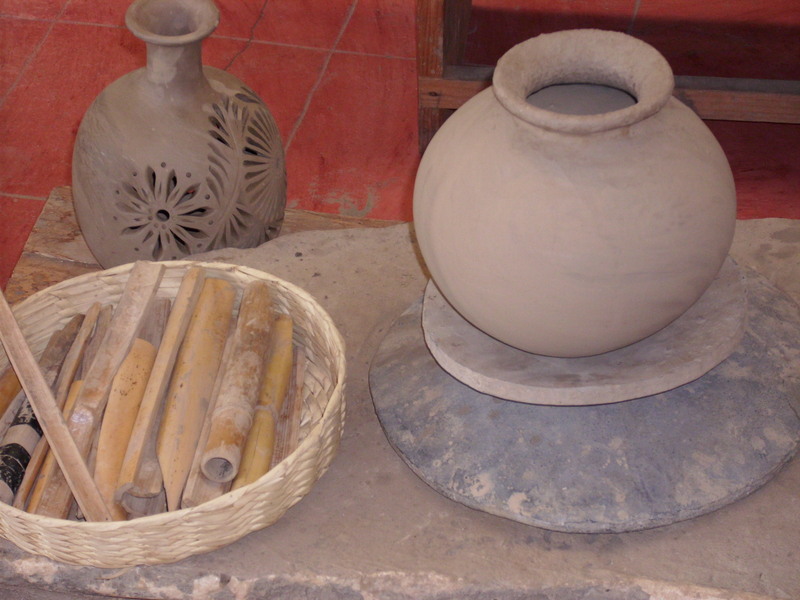 It had been used for many years to create pottery but it wasn't until the 1950s when a woman named Doña Rosa discovered some very unusual characteristics about it. 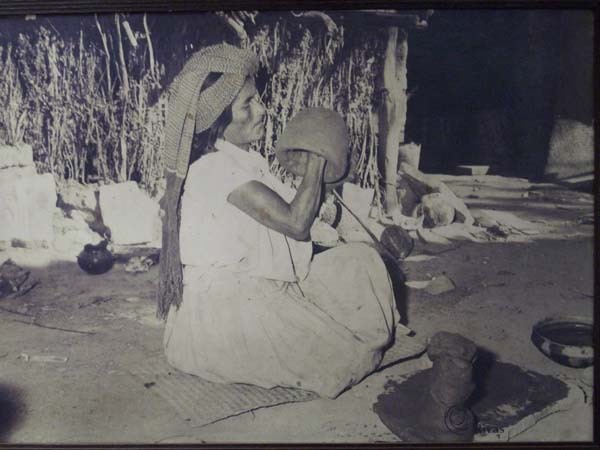 This is a picture (above) of Doña Rosa in the 1950s creating some pottery for her family. This pottery is not thrown on the wheel or formed in any kind of mold but it must be formed by hand. 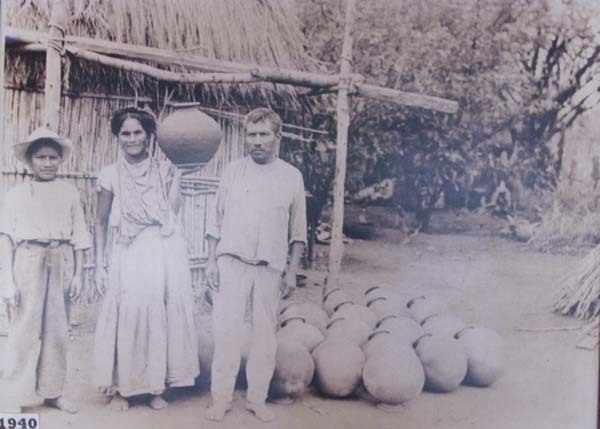 This is a picture (above) of her family who have been involved in making this pottery for generations. You will notice the date in the lower left-hand corner is 1940. This is a picture of a woman who is 93 years old and she has been making these beautiful pots since she was 10! Very few people in the world spend 83 years of their life doing the same type of work, but as you can see it is a work of beauty that is unmatched anywhere. Each of the members of our team feel a devotion and love towards this industry and their beautiful formations. 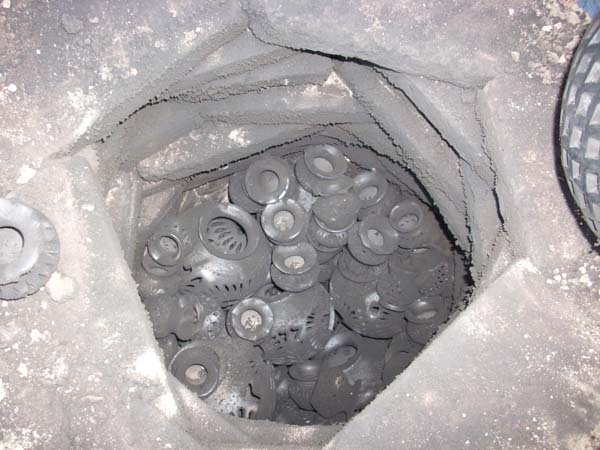 This is the wheel used to throw the pot and the kiln below. Believe it or not, but above is the kiln in which all the pottery is fired. Every one of these pots are carefully placed by hand into this rather crude looking furnace, but don't let the looks deceive you, there is a reason why it is created in this fashion: it's the only way to produce the beautiful pottery you are seeing on our website and which can adorn your home or business, hotel, real estate development, interior design project, casino, car dealership, etc. This pot above is the actual color of the clay when it comes out of the ground and is formed by hand. It's a rather dull brown during in its initial creation process. But something magical happens because of what Doña Rosa discovered several decades ago. For years people had known that if you use a gas in firing the clay it would turn a beautiful dark brown and that if you use wood in the firing process the pottery would turn black. 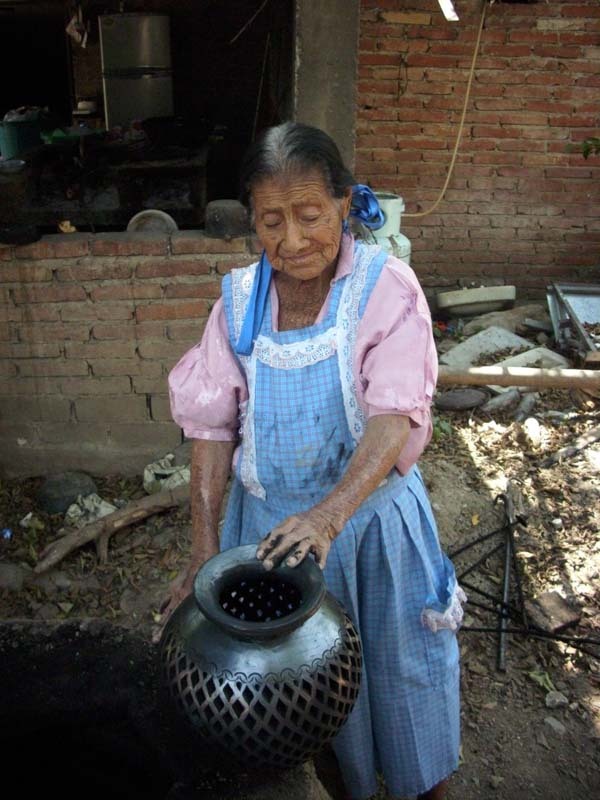 But here's the amazing thing, Doña discovered that if you rub the pottery with a quartz crystal before it is fired in a wood oven, it will turn a shiny black. No one had ever discovered this before Doña.